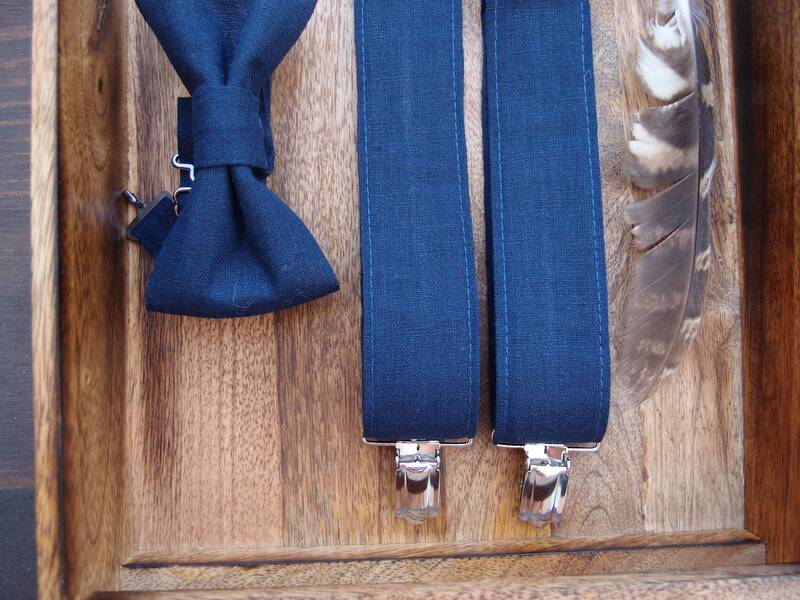 Baboshka's suspenders and bow ties add a little of polish, distinction and personality to groom's or groomsmen attire. 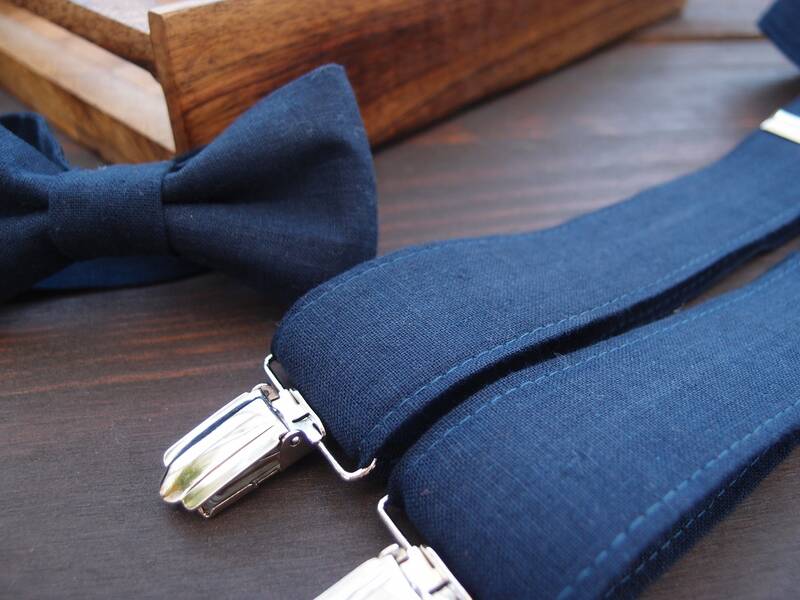 By wearing linen braces for men you make a statement and let everyone know that your wedding is a very special moment in your life. 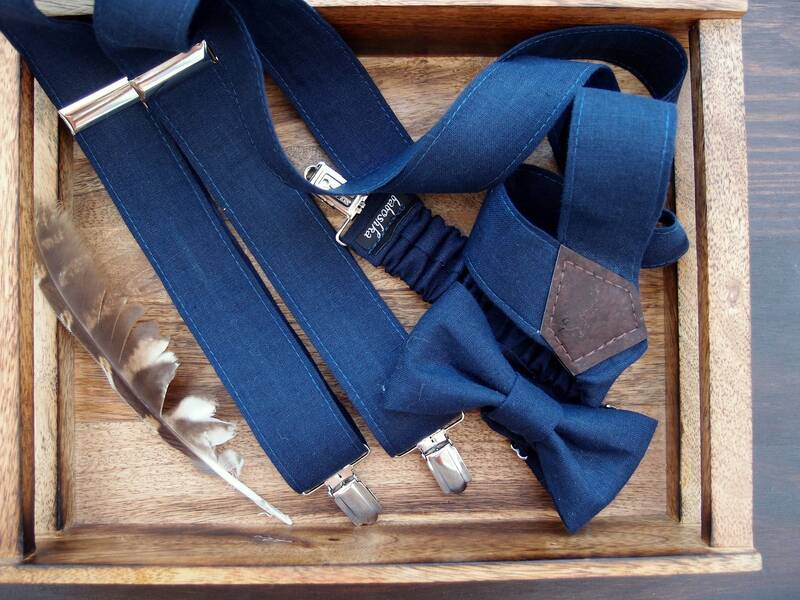 We made it easier for you and we created matched sets(braces with bowties) so you don't have to shop all over. 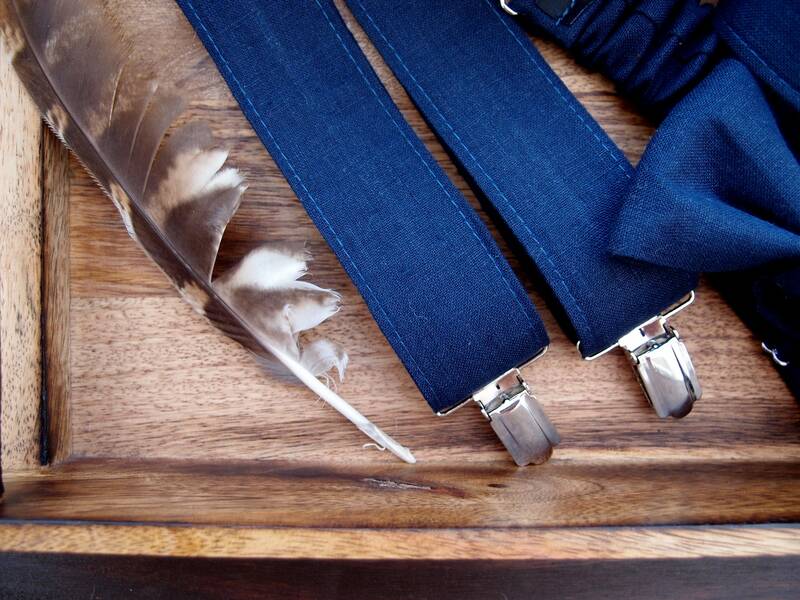 These linen suspenders will not only keep your pants in place, they will make you feel like a real gentlemen. DHL EXPRESS super fast and with tracking !!! PHONE NUMBER REQUIRED!!!! 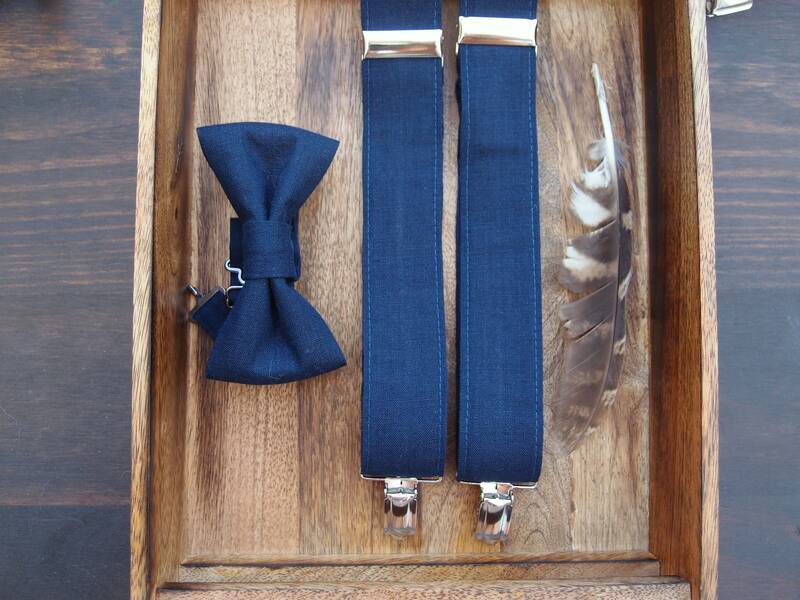 Just as described, beautiful set of bow tie and suspenders which I will put to good use at my brother´s wedding. Thank you very much Baboshka! Sehr schön und super Qualität, vielen Dank!